Impressive business premises needn’t cost the earth and can add a ‘Wow’ factor for your customers. Burrough Court in Leicestershire offers professional, contemporary business units to rent steeped in infamous history. Prime meeting rooms, prestigious offices and business units to rent are set in stunning grounds – a site which was frequented by royalty during the 20th century. They offer fantastic flexible workspace for today’s mobile business community – with meeting rooms to rent by the day and flexible leases available on offices to rent and business units to let. “The jewel in the crown is perhaps our stylish meeting rooms and the one-to-one service that is provided. We find that the quality of Boxpod and their efficient service enhances our own efforts of providing an excellent experience for customers. Tracey adds: “For those companies who have a prestige brand to protect, then locating their business at Burrough Court always works for them. Our flexible lease terms, impressive setting and attention to detail are the core elements that make us a first choice. And success breeds success with only a couple of available offices to rent. 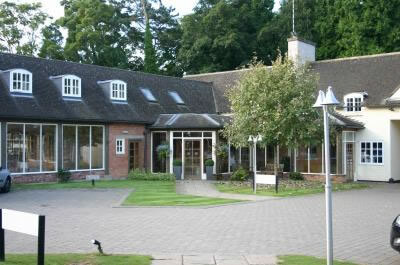 See Burrough Court offices and units to rent.